Your child wants to grow up to be just like mom and dad, so for your next vacation get them some Stephen Joseph rolling luggage. They're just like an adult's wheeled suitcase, but sized just right for little kids, plus way more fun. Each design is so bright and colorful, you'll never lose it on the luggage belt. 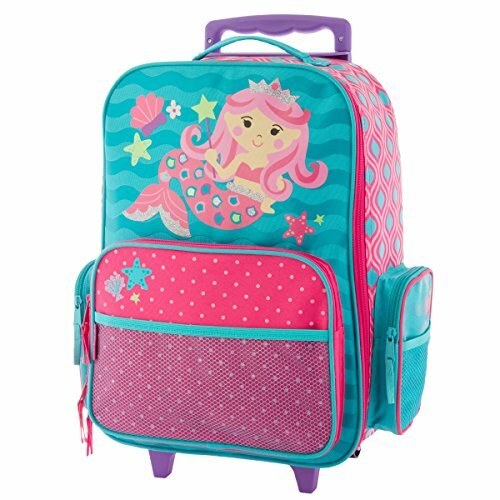 It's the perfect height for little travelers and has a big main compartment and plenty of pockets to pack all their holiday bits in - but perhaps mom should keep hold of their passport.